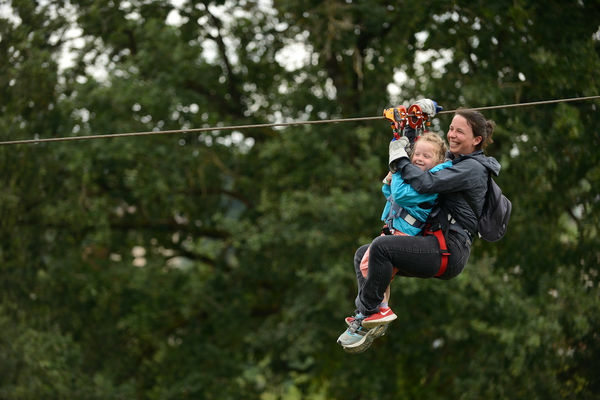 Get ready, a sensational adventure in the trees and in the air awaits you! 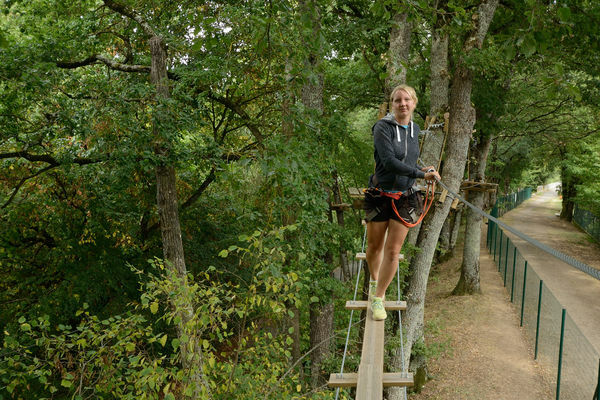 Come with your friends and family and test your nerves on the accrobranche circuits and zip lines in this beautiful and relaxing park. 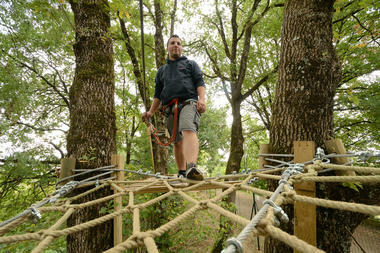 You will find 6 tree-climbing circuits of varying levels of difficulty, dozens of fun games and more than 10 zip lines, including the giant 202- and 505-metre ones which cross over the river Vienne. You also have the advantage of being very close to the huge viaduct situated in the municipalities of L’Isle Jourdain and Le Vigeant. 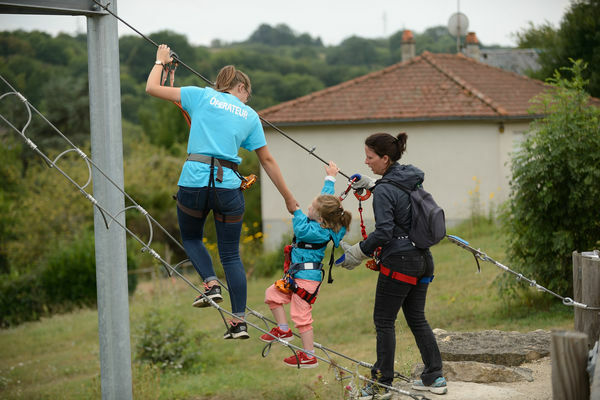 There is a family itinerary to suit all family members with footbridges, zip lines, a creeper, a climbing wall and several other activities. 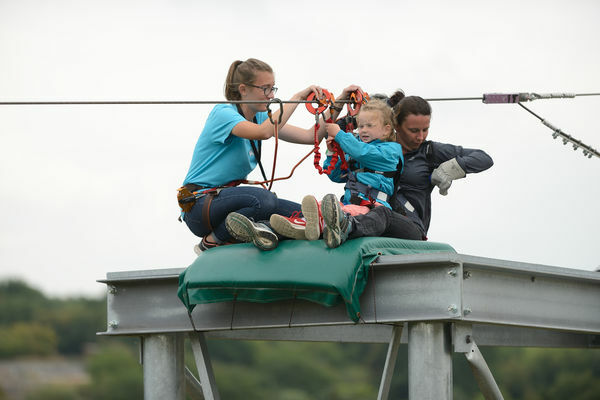 For the adventurous, there is also a more challenging course with wooden ladders, zip lines, slides and other activities for you to enjoy. 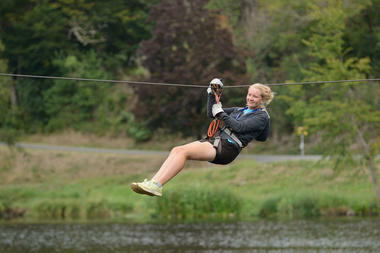 You can also just focus on the two giant zip lines, if you are looking for thrills. 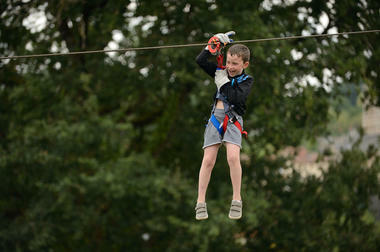 For even more excitement, there is also a comprehensive package, with zip lines and bungee jumping from the viaduct. All these activities are of course carried out in complete safety and with the assistance of professionals. 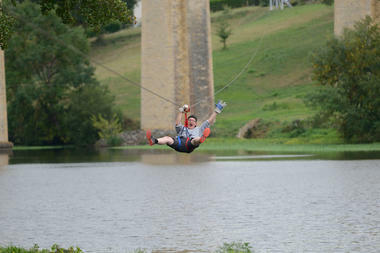 Tips for the Sud-Vienne-Poitou: after passing beneath the majestic viaduct on a zip line, will you be tempted by bungee jumping? 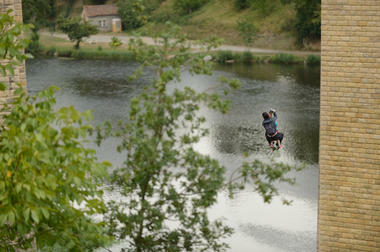 That little extra something : if they so wish, young children may ride on the zip line with a parent. There is no review about Parcours Aventure Et Tyrolienne Géante, be the first to leave one !